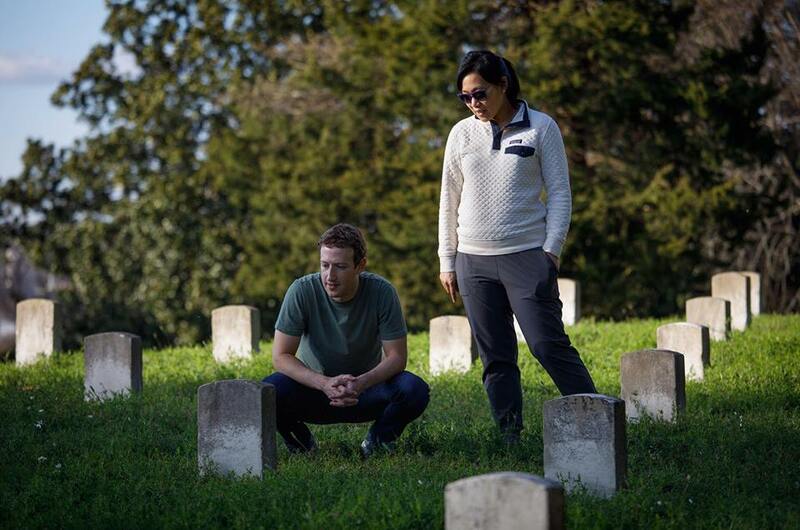 Facebook Owner Mark Zuckerberg visited the National Cemetery with his wife Priscilla earlier today in remembrance of Civil War. Priscilla and I stopped in Vicksburg today to see the battlefield and National Cemetery from one of the defining moments in the Civil War. It's struck me over the past few days how much our history is still part of our every day life. Black and white families living in the same town together in Mississippi are likely descendants of slaves or those who held slaves generations ago. History is recent enough that older folks today can tell stories their grandparents told them from their experiences with slavery and the Civil War. This history is still fresh and shapes our lives today. 0 Response to "Owner Of Facebook Mark Zuckerberg And His Wife Priscilla Visits The National Cemetery "